Increasingly, salt is a substance we try to avoid – in our diets, on our cars, in our wounds. There was a time, though, when we held salt in high esteem. Spilling salt is still commonly considered an omen of misfortune. The word salary comes from the Latin word for a salt allowance paid as compensation to Roman soldiers. To be worth one’s salt is to be well deserving of your salary. The Bible quotes Jesus using “salt of the earth” to refer to those who are worthy – the merciful, the peacemakers and the pure of heart. The expression salting away refers to saving money for the long haul, setting it aside so that over time it can accumulate and compound and sustain. It conveys the sense of salt helping to preserve something for consumption much later. We have been reducing even this sense of salt in our lives. 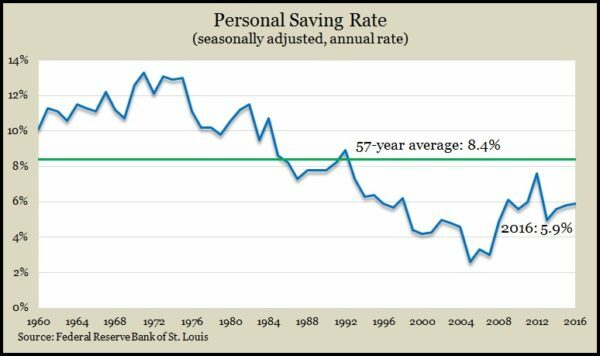 Personal savings has rebounded from the Great Recession, but the percentage of disposable income we’re salting away has remained below the long-term average since 1992. Of course, on a personal level, saving can be virtuous. Personal spending, though, is what drives the U.S. economy. 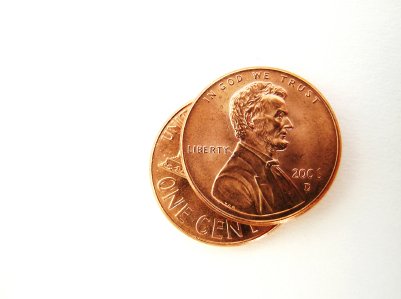 In what is called “the paradox of thrift,” economists note that while it might be wise for individuals and families to save their money in tight times such as the Great Recession, the economy recovers faster through less saving and more spending – by putting one’s money to work sooner rather than salting it away for later.